Jacques H. Belét III is a Certified Turnaround Professional and President of The Belét Group, Inc., a national turnaround management firm based in Memphis, Tennessee with staffing throughout the country. "Jac" has been doing turnarounds and corporate restructurings of middle market companies for 35 years. He has an in-depth background in creditor and debtor representation in both bankruptcy settings and out-of- court restructurings. Jac has served as interim Chairman, CEO, COO, CFO, Chief Restructuring Officer and financial advisor for various companies ranging from microwave oven manufacturing, log home construction, forklift and industrial machinery dealerships, medical device manufacturing, flexible packaging manufacturing, tier one auto manufacturing, distribution and supply chain management services, and retail sporting goods, to name a few. He also provides financial advisory services to creditors and lenders facing severely distressed credits. 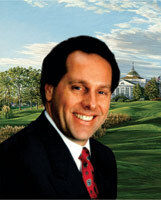 Jac has similarly served as an expert witness in high-profile bankruptcy litigation. One is a published case. Jac has an extensive CV, detailing his in-depth and broad-ranging experiences, available upon request. Jac's industry related pro bono contributions are also quite extensive: He is a past two-term 6-year International Director of the Turnaround Management Association where he was the member of a 5-member executive committee that charted the organization's course through its fledgling years taking it from 350 to 2,000 members. He sat on and chaired most of the organizations committees. Most noteworthy, he established and chaired its Education & Professional Development Committee, its Annual Conference Committee and its Sponsorship Committee, which has provided the foundation for supporting today's organization of more than 10,000 members and 41 chapters worldwide. Jac was one of the founders of the Association of Certified Turnaround Professionals, which today has certified more than 500 highly designated industry professionals. He is a graduate of the University of Akron. Jac's community pro bono services are broad-ranging, as well: Jac is a director of the Bolivar, TN Downtown Development Corporation; chair of the Bolivar, TN Revenue Finance Corporation; chair of the Joint Bolivar/Hardeman County Strategic Planning Committee; a director of Hardeman County's Boys and Girls Club (of Greater Memphis) and chairs its Diversity Finance Committee. He is founder and co-chair of the Hatchie River Conservancy, dedicated to preservation of the Hatchie River, the longest scenic river in Tennessee (178 miles) which is deemed by The Nature Conservancy to be "One of 75 Last Great Places on Earth Deserving of Preservation". He has two sons, a daughter-in-law and 3 grandchildren.